IF YOU’VE MADE it to 2017 without Norway’s fjord region being on your gotta-see list, you obviously never wiled away an afternoon Googling the images. This place is filled with waterfalls, greenery as high as the eye can see, ice-carved, jagged mountains popping out of nowhere, and unassuming hamlets setting up shop in the ancient footsteps of glaciers connect it all together. Which all poses one giant problem — once you decide to come here…where do you even start? Tiny towns dot the entire map, there’s a huge list of fjords to choose from, and every spot is more beautiful than the next. Where to begin? 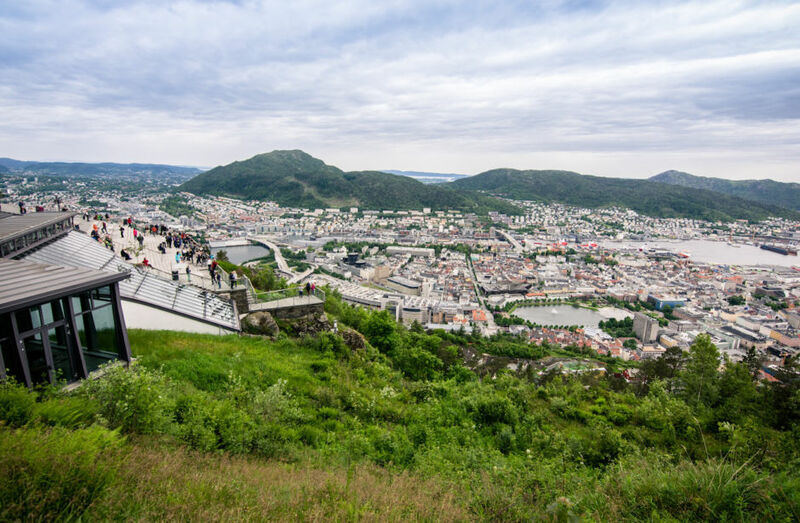 You’ll likely fly into Bergen via Oslo regardless of where you’re coming from, and take your flight as permission to stay here and recoup for a bit. Bergen is worth at least your first day and night — there’s Bryggen (the UNESCO World Heritage site), mountains framing the whole city, several museums, and an entire culture to explore. You’ll go out into the wild tomorrow. They say Bergen is surrounded by seven mountains, but that’s just a hat tip to Rome, which sits on seven hills. Bergen has far more than seven, and experts still debate today which seven Ludvig Holberg — a long-gone playwright — was describing. Bergen is not a small town. The metro area has around 425,000 people, and there are enough hostels, hotels, and BnBs to go around. As far as views go, break out the camera from Magic Hotel Solheimsviken (overlooking the city), Clarion Hotel Admiral (overlooking the harbor), and the Radisson Blu Royal Hotel (overlooking the hills). 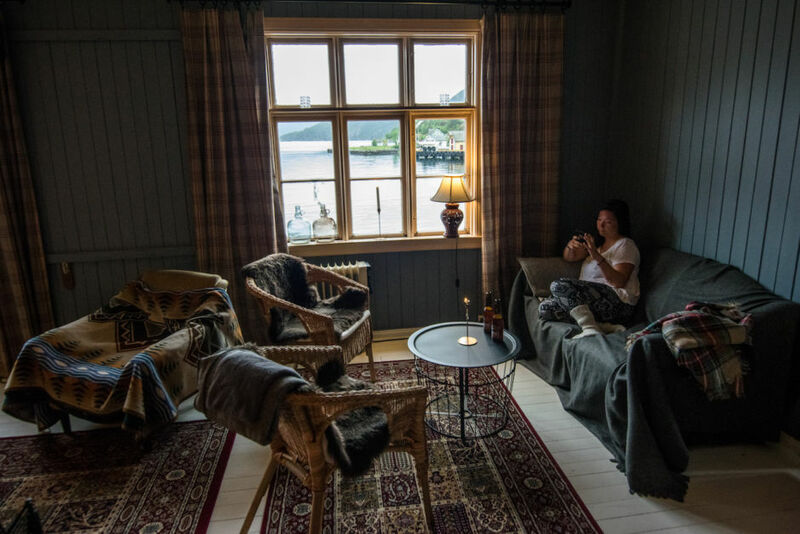 For location, the Bergen YMCA Hostel is right in the city center, and Det Hanseatiske Hotel is in one of the timber buildings of Bryggen, the UNESCO World Heritage Site and center of the hustle and bustle. But Norway also has this beautiful thing called allemansretten, which translates to the freedom to roam. You can set up shop anywhere in the countryside, so long as you’re 492 feet (don’t ask) away from the nearest house or cabin. If that’s a little too freeing, there’s a ton of campsites right outside the city, like Lone Camping AS. 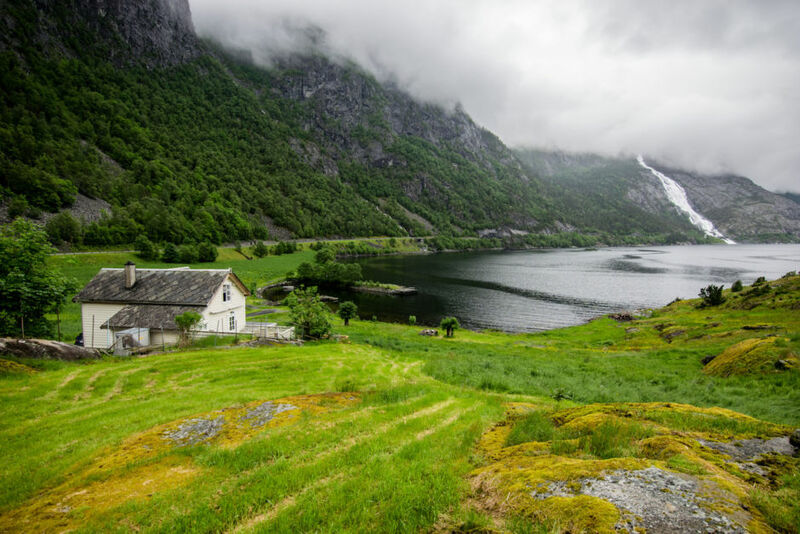 It’s about a 20-minute drive from the city center, and for about $15 you’ll be relaxing in the Norwegian countryside. You’ll smell Bryggen almost as soon as you see it, and that glorious buttery, doughy scent is Baker Brun — grab a skillingsboller before you head anywhere, mainly because it’s the only thing you’ll be able to think about once your nose catches the trail. The pastry is a Norwegian specialty, similar to a cinnamon roll (but your fingers won’t get as sticky). 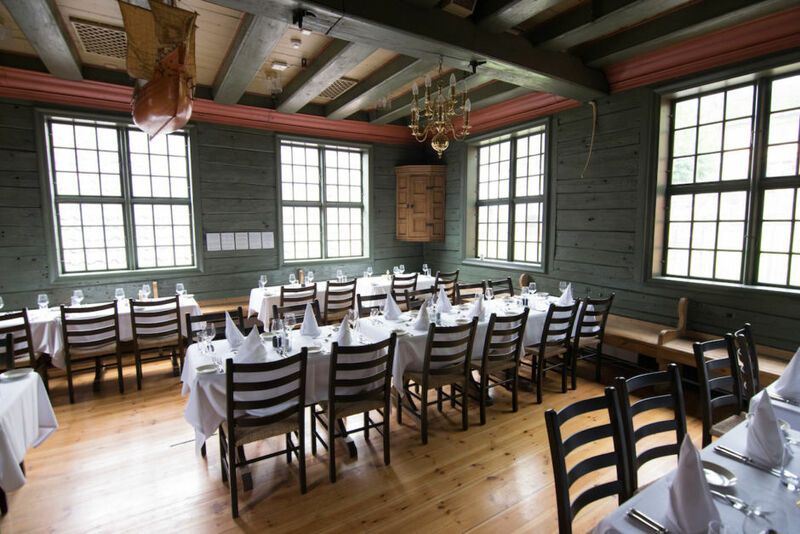 For food food, three drenched-in-history options close to the city center are Bryggen Tracteursted, Enhjørningen Fiskerestaurant (technically the oldest restaurant), and Potetkjelleren (far more than a “potato cellar,” I promise). But if you’re not looking for Norwegian tapas and a long list of wine options, just head to the fish market, right across from Bryggen. There’s everything from fish to sandwiches to jams and breads, reindeer, and sushi. And, of course, there’s wine, too. Odds are you’re going to have a very definitive answer to this question: Do you want to hike a glacier? That’s an option here. Near Jondal is Folgefonna National Park, and this once super-large behemoth of a glacier is now splitting into three — but you can still climb it. The team at Fonna Glacier Ski Resort (where you can also ski, obviously), can get you up there — and, more importantly, back. But what I can’t stress enough is that every photo you’ve ever seen of people smiling and wearing thin winter coats is taken on the best day of the season. You probably won’t be so lucky. It’ll be cold. It might be rainy. If you don’t have much experience with winter and snow, you’ll probably fall down. A lot. So before you think, “Heck yeah, I’m climbing a glacier!” please know what you’re getting into. But even if it’s rainy, it’ll be incredible. Just wet, slightly more terrifying, and incredible. Since we’re sticking with a snow theme for this day, stay at Hardanger Fjord Lodge — it’s the yellow house right on the tip of the fjord. You’ll be welcomed in (and given a cozy pair of wool socks) by Wille and My, who will soon make it clear that they’re not normal hoteliers — Wille is one of the best skiers in the world. There’s an outdoor patio that turns into a bar in the summer evenings, and the food feels like someone in your family finally learned how to cook. Just north of Jondal is Herand, a small village that’s nailed down the vibes you probably came for. Restaurant Meieriet is where you should stop for wood-fired pizzas, and don’t mistake it for an old schoolhouse or lodge — though the smells might give it away. South of Jondal is Rosendal, and that’s where you’ll find a bit more of an urban vibe. A bit. Gallery G Guddal is on the outskirts of town, and it’s worth a stop for the art alone — A-Ha (yep, the band famous for Take On Me) has an exhibition opening up in July. But the on-site cafe is also great for a bit of respite — there are local drinks, desserts, and Norwegian open-faced sandwiches to top you off before you venture back into the wilderness. If you’re up for it, Odda is the hub to Trolltunga — that famous tongue-shaped rock you’ve seen people jumping on time and time again, and arguably one of the most stunning views in the world. It’s 11 km one way, and it’ll take about six hours (eleven there and back). You need to be in shape, pack plenty of layers, food, and water, and take it seriously. 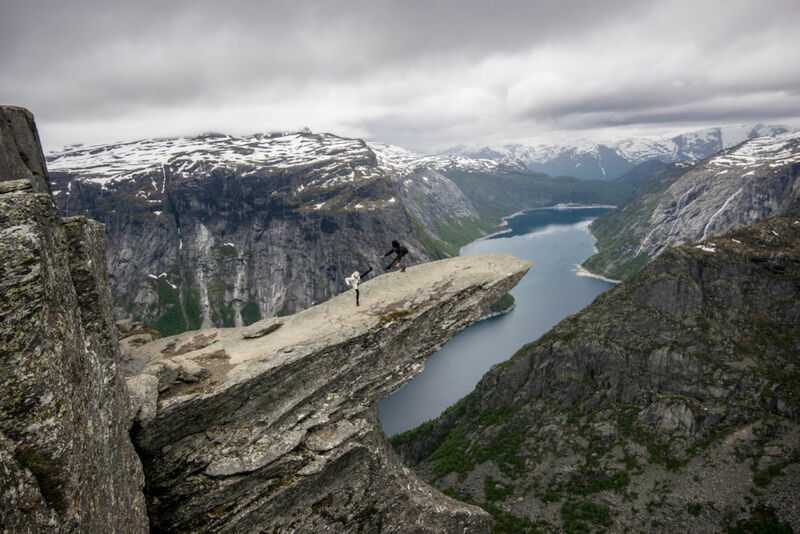 Be honest with yourself, however — if you’re just going for the photo opp, you have to go with a guide (the folks at Trolltunga Active can help with that). They rappel about 10-12 meters down the side to get the angle you’re looking for. You can get great photos without one…but you can’t get the best. Hiking with a guide is nice for other reasons, too — in inclement weather, you won’t doubt where you need to go, and the guides supply hiking poles as well. For those not interested in Trolltunga, know that Odda is home to a virtually endless list of waterfalls. Tjørnadalsfossen, Strandfossen, Vidfoss, Espelandsfossen, and Låtefoss will keep you plenty busy, mountain be damned. The most obvious place to stay in Odda — if you’re there to climb Trolltunga — is the Trolltunga Hotel. A shuttle will come get you in the morning to take you to the mountain, and you can even purchase a bag and stuff it with as much breakfast food as you can muster, to get you through the day. You’ll then be dropped off afterwards, where you’ll probably want to shower and go straight to sleep — or celebrate your crowning achievement with a glass of red in the cozy downstairs restaurant. If you’ve no interest in climbing the Troll’s Tongue, check out the Hardanger Hotel. They’re right in the city centre, keeping you within arm’s reach of the water, too. If you decided to forego Trolltunga, there’s plenty to do (and eat!) in town. 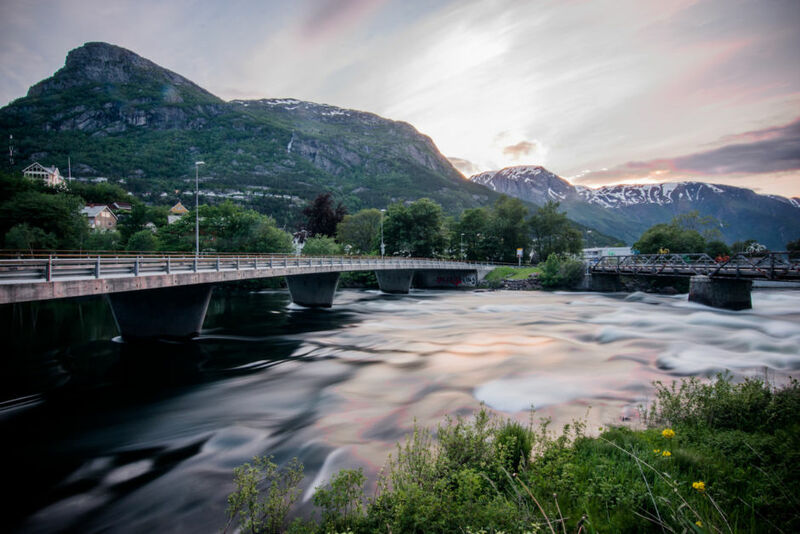 Grab coffee and a pastry at Andersen, stop at the Norwegian Museum of Hydro Power and Industry or Røldal Stave Church (built in the 1200s), and work up an appetite for Tjødnadalen Farm — you’ll get traditional dishes, local apple cider, and the experience of dining at a small farm sitting cozily in the Norwegian woods. For hops and suds, stop in at Vertshuset before calling it a day. You’ve earned your stripes by now, so take this day easy. 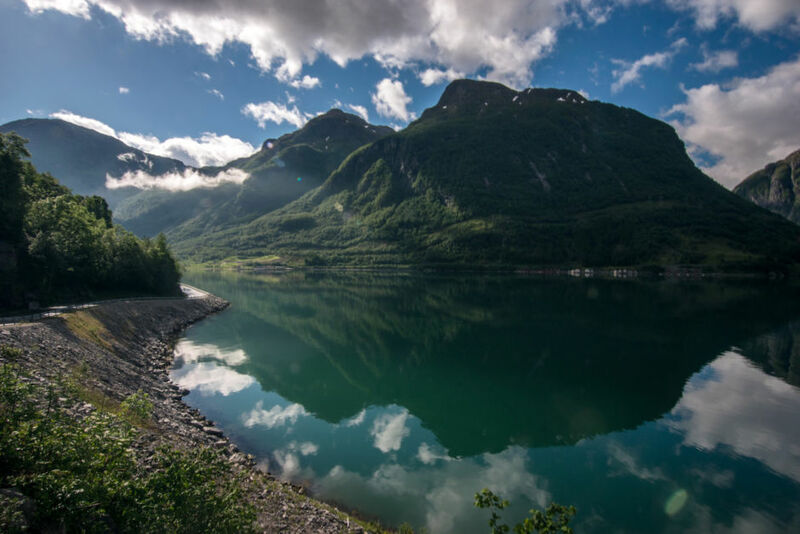 Drive through the teeny hamlet of Bondhusbygda to the parking lot at the entrance of Bondhusdalen Valley, and you’ll wind up at the trailhead to Lake Bondhusvatnet. From here, it’s an easy 15-minute hike to one of the most beautiful views you’ll get on your trip — especially considering the amount of effort you put in to see it. 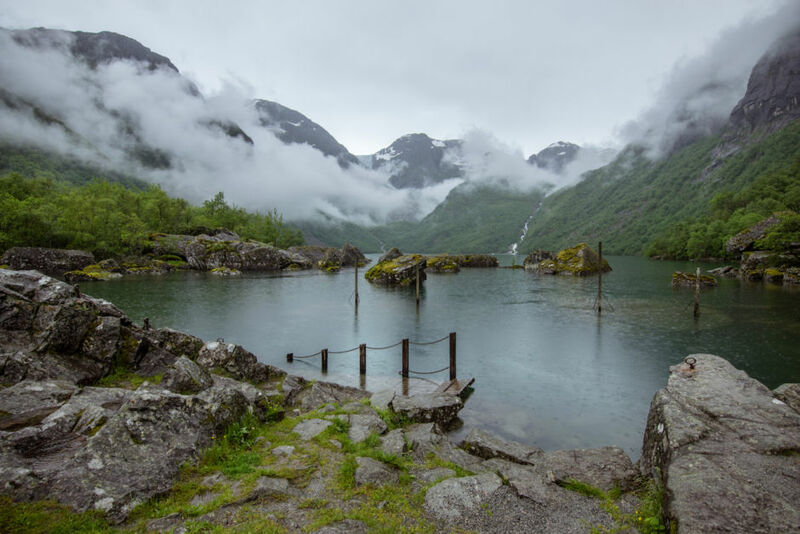 You’re on the edge of Folgefonna National Park, and you’ll be able to tell — this talus slope is like a more accessible version of Halong Bay in Vietnam, only you might have it all to yourself. If a 15-minute hike isn’t enough of an adrenaline rush, head toward the glacial potholes at Rullestad. Drive down the old E134 in Rullestadjuvet, and turn left at the road sign to Jettegrytnuten — the trailhead is near the old sawmill. It’s not a long hike, but the last 100 meters is incredibly difficult: You climb up a small ladder on the edge of a cliff, and those with vertigo need not apply. If you can make it, you’ll be surrounded by “potholes,” some almost 10 feet wide, created by the swirling of ice and water thousands of years ago. The view is stunning, and you’ll likely be all alone to experience it. 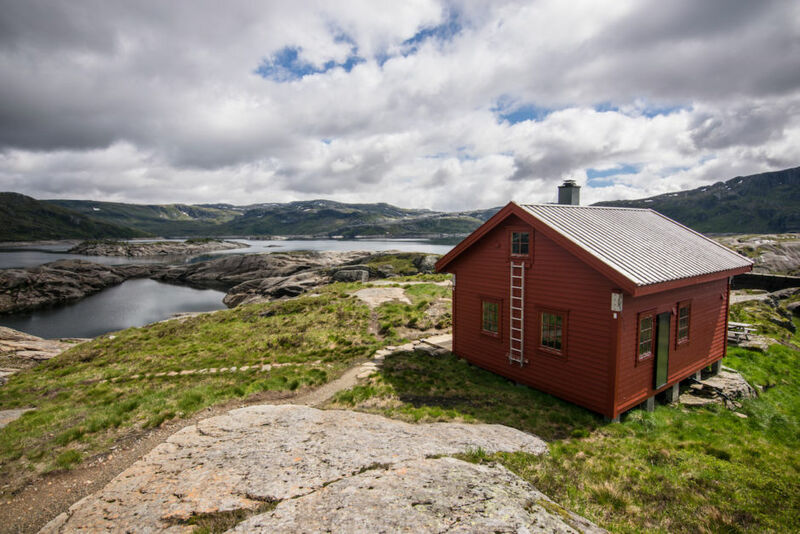 If you chose to do the potholes, book a cabin at Rullestad Aktiv Fritid. 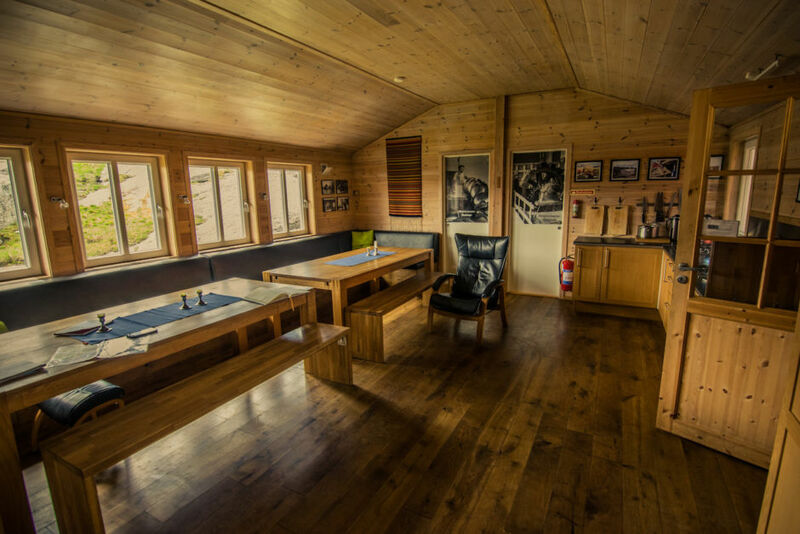 Martin can give you the lowdown on the hike (and how to find it, and whether or not it’s too wet to go up) and he’ll hook you up with a simple cabin — as simple as a cabin can be with an ensuite sauna — and dinner by a waterfall. If not, check out Eljervik Farm — it’s postcard-perfect and sits on the land in front of Langvoss Falls, one of the most famous in the area, if not the country. The family that owns Eljervik also technically owns Langvoss, and the land has been in the family for hundreds of years. You’ll also find a small cafe as part of their farm, and if you’re lucky, Nina is around making homemade lefse. Dinner at either Rullestad Aktiv Fritid or Eljervik Farm won’t disappoint, though no one would hold it against you if you wanted to venture out further. Olaløo is your best bet in Sundal, though anywhere in town you won’t be far away from a view to kill. To get to one of the cabins described below and pictured above (and for dope views into the Etne Valley), drive to the Løkjelsvatnhytta trailhead (park in the lot for Skar Støl) in Etne. It’s about a two-hour hike up to the top, where you’ll get to see the remains of glacial lakes and be on top of the Etne Mountains. On the way up, you cross two waterfalls, climb plenty of ladders, and follow a few rope ridges — though it’ll be nothing compared to your first few days in the area. You can also take a siesta at the cabin before heading back down — or you can stay the night. Get ready to scrape your brains up off your chair — Norway has hundreds of huge, modern cabins lining their mountains, and they’re basically walk-in five-star hostels — you can reserve them, but you can also just saunter in, ask around for a bunk, and then get to making yourself dinner (a full pantry is part of the deal). A stay is around $15, and it’s based on the merit system — you’re trusted to leave the next guests water, firewood, and to pay without anyone checking up on you. For the record: Do. Don’t ruin this for everyone else. To find the list, check out the Norwegian Trekking Association’s website. There are around 500 to choose from, and it’s a good way to narrow down where you might want to go. Otherwise, the Fugl Fønix Hotel in Etne is where you want to be — it’s half hotel, half brewery. Norway clearly has their act together. If you need to end your trip with a bit of civilization, make the 50-minute drive to Haugesund. It has around 40,000 people, so you won’t be hard-pressed for options here. Lothes Mat & Vinhus is right on the harbor, and To Glass is nearby too — a good stop for celebrating the end of your trip. But if you have time to spare, don’t leave the area without visiting the Nordvegen History Centre at Avaldsnes — the area around Haugesund is the “birthplace of Norway,” where the first traces of Vikings have been found. There are excavations currently going on — revealing “new” Viking settlements — and the history center is state-of-the-art. What better way to end your trip to Norway than by celebrating where it all began?